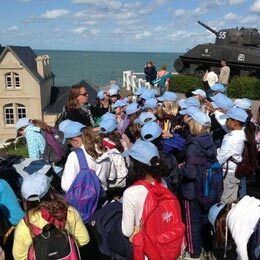 Each year a residential field trip is organised for the children in Y5 and Y6. St. Aubin’s Fort: Groups of children from year Y5 go off to the fort for two days, staying overnight in the specially adapted accommodation within the fort. They study the history of the fort and the history of Jersey. They also participate in sailing activities with qualified instructors and increase their scientific knowledge by exploring the seashore environment. 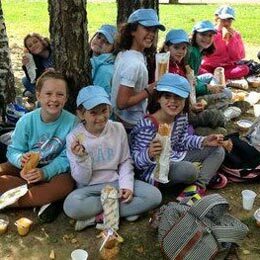 Normadie á La Carte – France: The Y6 children spend a week in France at the large Gite, La Grange d’Espins, in the region of La Swisse Normandie. During this five day residential experience the children participate in adventure activities, such as canoeing and mountain biking. They also enjoy local cultural activities, such visiting a market to shop for their lunch. The home made cuisine is of exceptional quality and any requests for extra helpings must be done in French. There are many opportunities for them to practise the French they have learned in school. Most importantly, however, is the opportunity to learn to live as a school community and to become more independent before moving on to secondary school.